Alec Baldwin will never again have to worry about being booted off a flight for playing Words with Friends on his cell phone. The Federal Aviation Administration (FAA) on Oct. 31 said it has determined that airlines can safely expand passenger use of Portable Electronic Devices (PEDs) during all phases of flight, though that does not mean they will be able to make cell phone calls while the aircraft is flying. 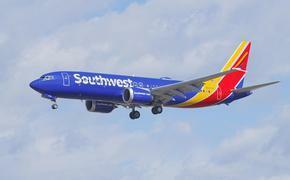 The FAA said it is immediately providing airlines with guidance on how to implement the new policy. At the same time, it said implementation will vary among airlines, but it expects many carriers will allow passengers to safely use their PDAs in airplane mode, gate-to-gate, by the end of the year. The FAA said it based its decision on input from a group of experts, including representatives from the airlines, aviation manufacturers, passengers, pilots, flight attendants, and the mobile technology industry. In the past, the FAA and airlines said PDA use could potentially interfere with the avionics controls aboard an aircraft. Now that the FAA has reversed that policy, passengers will be able to read e-books, play games, and watch videos on their devices during all phases of flight, with some limited exceptions. Electronic items, books and magazines, must be held or put in the seat back pocket during the actual takeoff and landing roll. Cell phones should be in airplane mode or with cellular service disabled (no signal bars) and cannot be used for voice communications based on Federal Communications Commission (FCC) regulations that prohibit any airborne calls using cell phones. 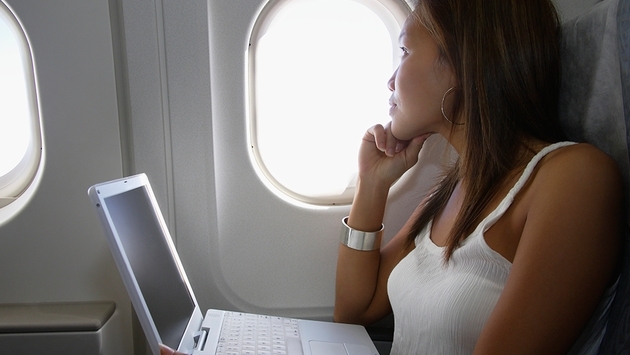 If an airline provides Wi-Fi service during flight, passengers may use those services. They also can continue to use short-range Bluetooth accessories, such as wireless keyboards. The FAA said it is streamlining the approval of expanded PED use by giving airlines updated guidance. This FAA tool will help airlines assess the risks of potential PED-induced avionics problems for their airplanes and specific operations. Airlines will evaluate avionics as well as changes to stowage rules and passenger announcements. Each airline will also need to revise manuals, checklists for crewmember training materials, carry-on baggage programs and passenger briefings before expanding use of PEDs. They also will determine how and when they will allow passengers broader use of PEDs. JetBlue and Delta Air Lines quickly welcomed the new policy and both said they had begun the process with the FAA become some of the first airlines to allow customers to use PEDs during flight. “The rules have caught up with today's technology," said Robin Hayes, JetBlue’s chief commercial officer. "This new policy vastly improves our customers' experience, and giving everyone a chance to be more connected is good for business. We intend to be the first commercial airline in the United States to allow gate-to-gate use of personal electronics devices." Delta said it is ready to allow its customers to be the first to use their portable electronic devices below 10,000 feet as early as Nov. 1, 2013 pending FAA approval. All Delta aircraft have completed carrier-defined PED tolerance testing to ensure the safe operation of passenger portable electronic devices during all phases of flight and Delta's plan has been submitted to the FAA for approval. On the other hand, flight attendants, who are on the front lines in stopping passengers from using PEDs in flight, apparently aren’t wholeheartedly behind the new policy. The Association of Flight Attendants-CWA (AFA) said it supports technical innovation, but its priorities are the safety and security of flight, as they are for the FAA, other aviation stakeholders and the traveling public.